Fantastic floor plan on Lot 9, our Model Home! Move-in Ready! Lower level features garage entry into mud room with bonus room, 3/4 bath and TONS of storage. Main floor has oversized kitchen, formal dining room, HUGE den and great room living with gas fireplace, and patio slider to large front deck! 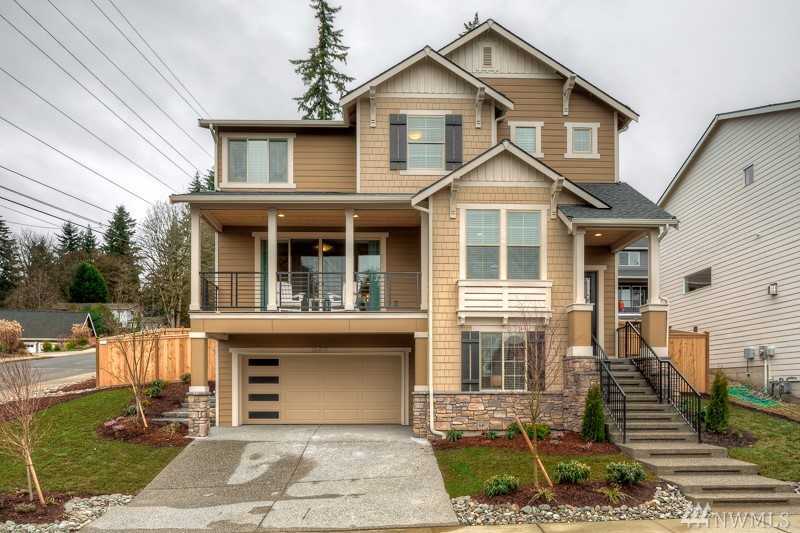 Master upstairs with 5-piece bath, free standing tub, large walk-in closet. Three other upstairs bedrooms and upper level laundry room with sink! Directions: For GPS: Please use “16419 84th Ave NE, Kenmore” and look for Lot #9.